12 months ago it was all I could do to walk to the end of the garden. 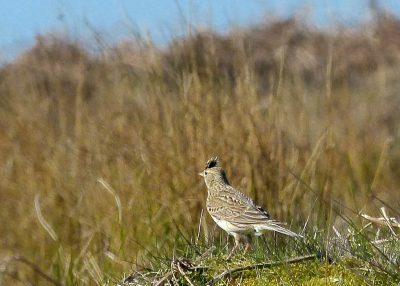 This morning I was up with the lark both in time and altitiude. 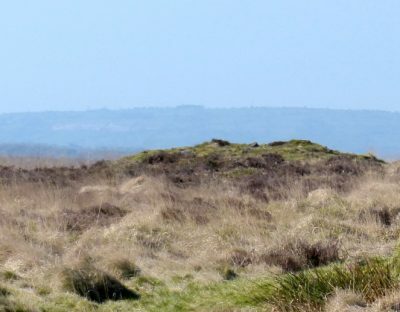 1000ft up on Big Moor is a magical place to start any day. 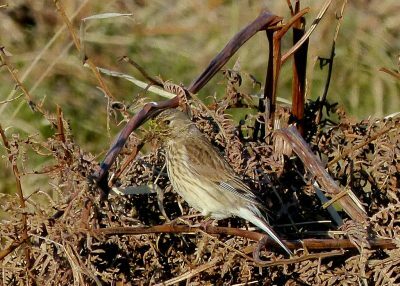 3 hours without seeing a person, let alone meeting one and the larks and pipits for company. Feeding and nest building seemed to be top priorities . 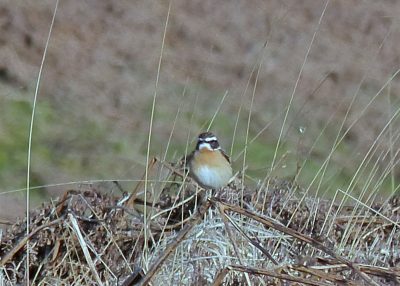 I had started the day looking for whinchats down near the Barbrook. 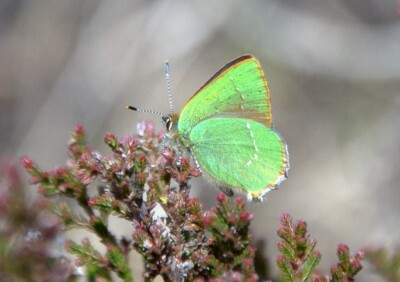 I found them amongst the dead bracken settling in after their long trip from Africa. 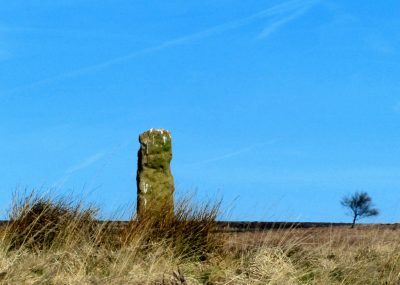 Once I had climbed up to the Big Moor plateau I soon came across the landmarks I had been missing for 2 years Firstly there were the guide stoops, erected in the 18th century, on instructions from Parliament, to guide travellers and traders across these moors. 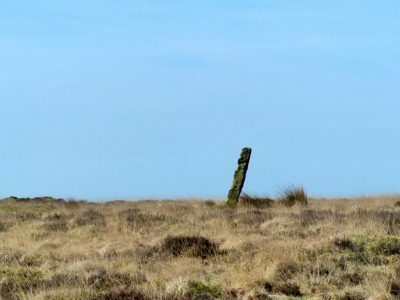 Sadly they were used for aerial machine gun practice in the 2nd World War and it is surprising that they still manage to remain almost upright! 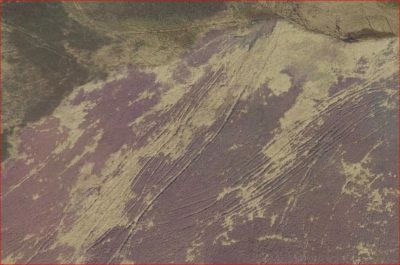 This copy of Google Earth shows a nearby part of Big Moor and the ancient tracks which survive to this day. 4000 years before these medaeval routes were formed, man lived, farmed and died up here. 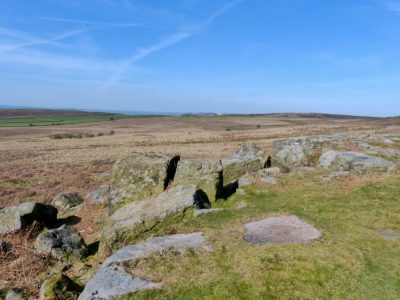 The area is strewn with relics of field system walls where stone has been cleared to grow crops or form enclosures for domesticated animals.Towards the east of the plateau are burial mounds like the one on the left. These look out across the valley to the Barbrook 1 stone circle. 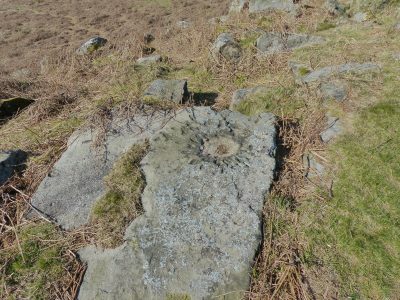 The route along these stoops takes you to Swine Sty, a rocky outcrop facing south towards Baslow and Chatsworth beyond. 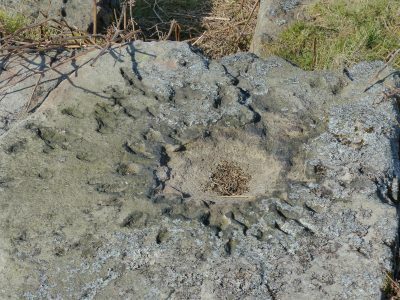 These rocks have again been damaged by 2nd World War gun fire and in one spot you can see the molten rock crater where it has been hit by a grenade or something similar. 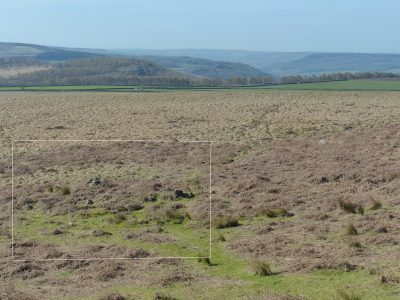 Looking down from these rocks you can just see the oulines of a Bronze Age settlement which is sited above the flood plain of the Barbrook and sheltered from the northerly winds. 4000 years ago this area would have been warmer than it is now and much of the area was open woodland. From here it was back to the Barbrook in search of the green hairstreak butterfly. No luck today but a challenge for another early morning.